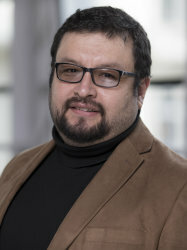 I am a researcher, engineer, and educator currently working as a Senior Lecturer (Associate Professor) in Structures at Imperial College London where I lead the Emerging Structural Technologies Research Group. My research interests span the areas of earthquake engineering, structural timber engineering, applied dynamics, and the development and implementation of passive and semi-active damping systems. Having practiced for five years in large and small infrastructure projects in Latin America, I am continuously involved in specialised consultancy internationally. I also serve on a number of committees related to international code development and the advancement of engineering practice. A list of publications can be found in the tab above or in Scopus. I am always pleased to hear from people interested in conducting research under my supervision in any of the areas mentioned above. Please note that I only consider applications from highly qualified students with a specialised MSc degree. Get in touch via email *only if* you: (i) have a GPA of 3.5/4 or higher, (ii) have formulated a thoughtful tentative research plan compatible with my research interests, and (iii) have actively sought or secured a competitive scholarship. Competitions for funding opportunities may exist through internal and external schemes for exceptional applicants.